The New York Giants have made several key signings to provide depth and retained a veteran defensive lineman. Defensive end Kerry Wynn will return to the Giants, the team announced on Monday. Wynn is a 27-year-old veteran who’s played in 49 games with 10 starts for the Giants. He was an undrafted free agent in 2015. His career totals include three sacks and 92 total tackles. In 2017, he recorded 252 snaps, 22.9 percent of all the defensive snaps. The deal is reportedly a one-year contract, according to Jordan Raanan. The Giants signed former New Orleans Saints cornerback B.W. Webb to a one-year deal. The corner was drafted in the fourth-round by the Cowboys in 2014. He has been a journeyman in the league, with time spent in Dallas, Tennessee, Pittsburgh, and New Orleans. At 28 years-old, Webb played in 14 games last season for the Saints. He also started in seven games. A solid depth signing for the Giants who are on a tight budget. 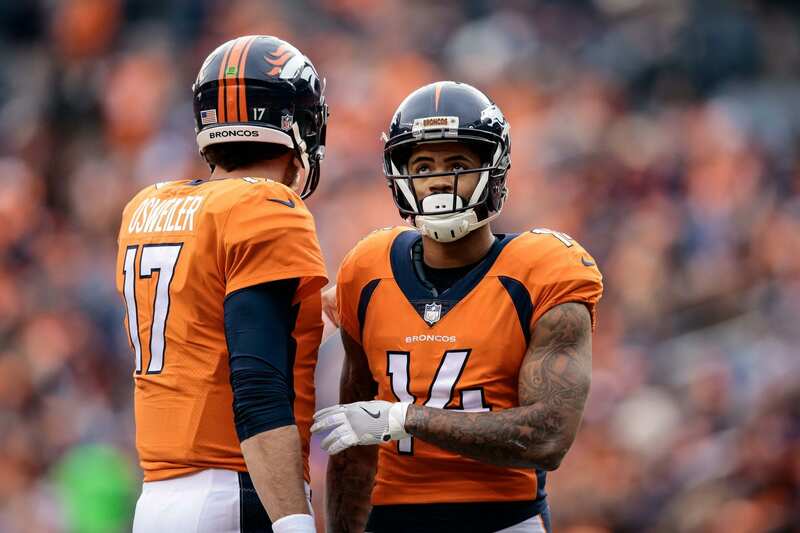 If the Giants were looking for a receiver with extreme blocking abilities, they found one in former Bronco Cody Latimer. At 6-2 and 215 pounds, Latimer played his first four seasons in the NFL with Denver. He’s enjoyed 45 regular-season games with three starts . He managed 35 receptions for 445 yards and three touchdowns. He also averaged 24.4 yards on 18 kickoff returns. A solid depth receiver for the Giants who will surely help in the running game. According to Ian Rapaport, the Giants have agreed to terms with former Arizona defensive lineman Josh Mauro. The DL started in seven games last season and is another key depth signing fora team that lacked true talent behind the starters in 2017. Another familiar face for the defensive staff from the #AZCardinals: DE Josh Mauro is expected to sign with the #Giants, source said. He started 7 games last year. Mauro is another player who’s familiar with James Bettcher’s defense, and will likely assist in getting the rest of the players up to speed on his methods.